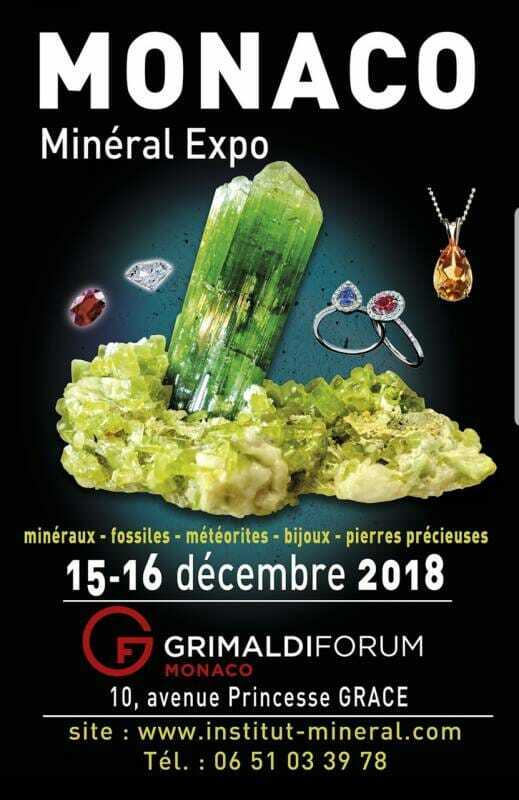 2nd edition of Mineral Expo Monaco will take place on 15 – 16 December 2018 in Grimaldi Forum. Fossils dating 500 million years with exceptional pieces: crane of tiger will be presented to the public (huge ammonites, bones of dinosaurs, reptiles etc.). Crystals of the whole world, the infinitely colored minerals, the shells, the jewels, the fascinating precious stones and the rare gemstones … Exhibitors: coming from Pakistan, Morocco, Spain, Madagascar, Italy, Belgium, Germany, Mexico, Brazil who propose to the public of real marvels. Price: €5,00 – free access under 8 years.